In our previous post, we visited some of the landmarks on the southwest coast of Ibiza and today we’re continuing our tour even further west. 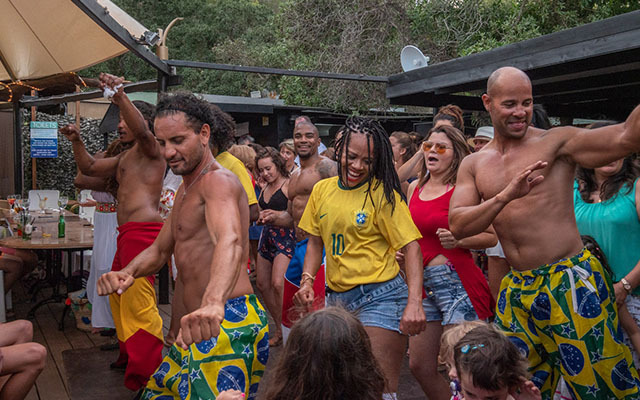 Like the island itself, this whole of ​​the southwest is brimming with contrasts: remote corners where you can find total peace and stunning natural landscapes or ever-vibrant beaches with a party atmosphere. Leaving behind Cap des Falcó and Es Codolar Beach, we’ll get to Sa Caleta. A pocket-sized paradise surrounded by typical boathouses where fishermen keep their boats, this is a laid-back cove with a family-friendly atmosphere. 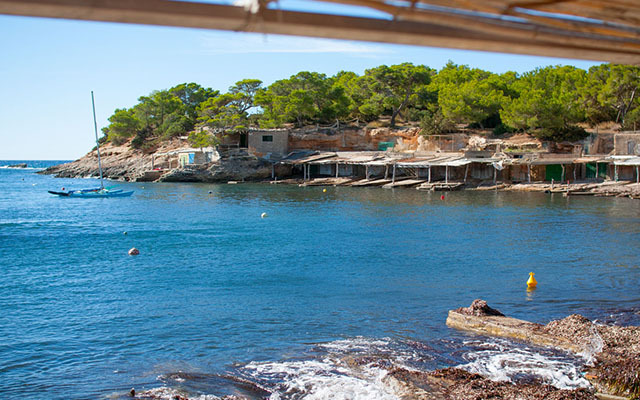 It’s typical on Sundays to come across entire families enjoying a tasty paella in one of these boathouses. Climbing up the cliff will take us to one of the jewels of the island. 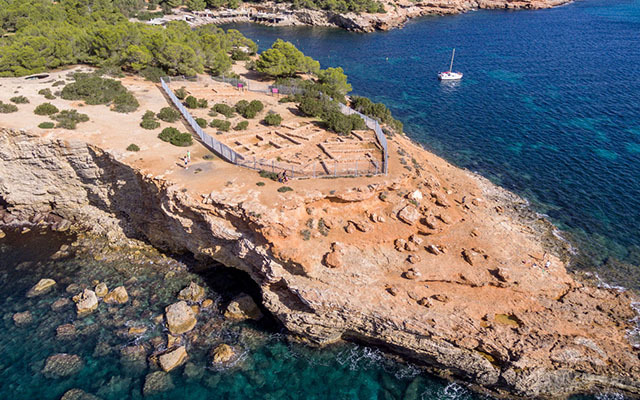 Perched on a rocky headland is the Sa Caleta Phoenician Settlement, which forms part of Ibiza’s listing as a World Heritage Site by UNESCO. Continuing along the cliffs, we’ll find a beautiful beach, which many people know as Sa Caleta even though its real name is Es Bol Nou. It’s a sandy beach surrounded by red cliffs, where many visitors take advantage of the reddish earth to smear it over their bodies thanks to its exfoliating powers and beneficial properties for the skin. 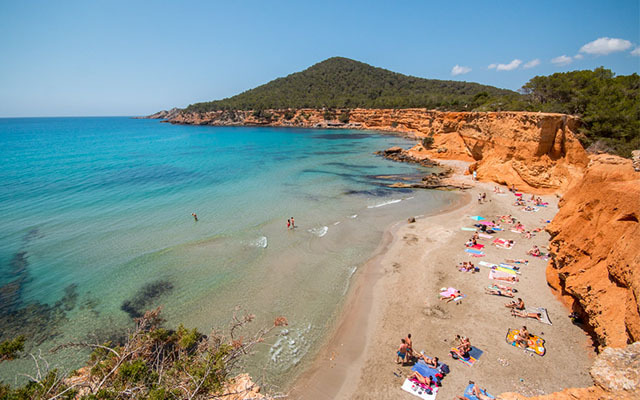 * Gastro recommendation: This beach is home to the mythical Restaurante Sa Caleta where we can savour authentic Ibizan cuisine. 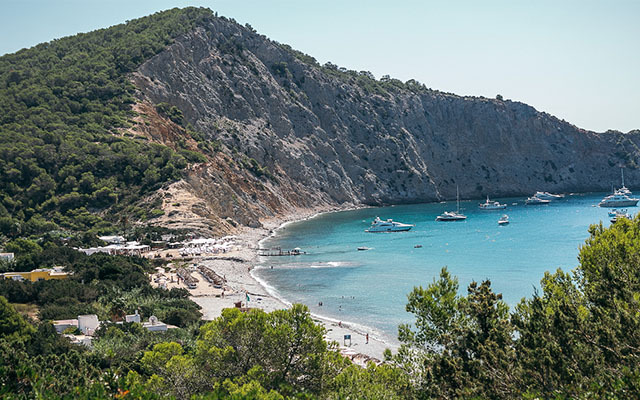 The next beach is Cala Jondal, perhaps the most fashionable in the whole town of Sant Josep. The shoreline is covered with pebbles, but further back we’ll find fine white sand. As well as the sheer beauty of this beach, there’s an amazing atmosphere thanks to the beach bars on the waterfront. One of the best-known is Blue Marlin. Others include Yemanjá, Es Savinar restaurant and Tropicana Beach Club. * Gastro recommendation: Order a grilled fish platter for dinner at Tropicana Beach Club and make sure you try the desserts. On Fridays and Sundays, they play host to Tropical Nights full of Latin beats and a great atmosphere. Right after Cala Jondal is the beautiful Es Xarco. On one side there are boathouses and on the other a sandy beach. It’s tends to be relatively quiet as it’s not a particularly well-known cove. 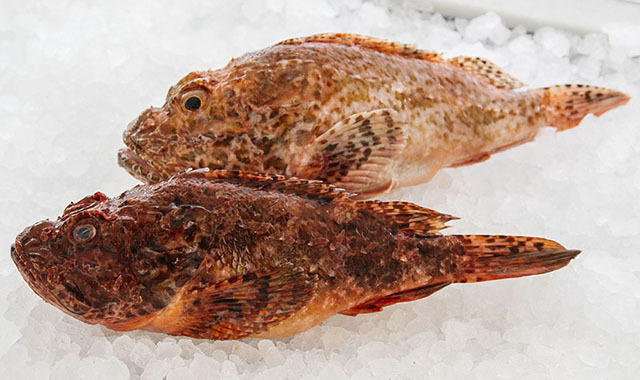 * Gastro recommendation: Order fresh fish at the restaurant on the beach, which is named after the cove itself. 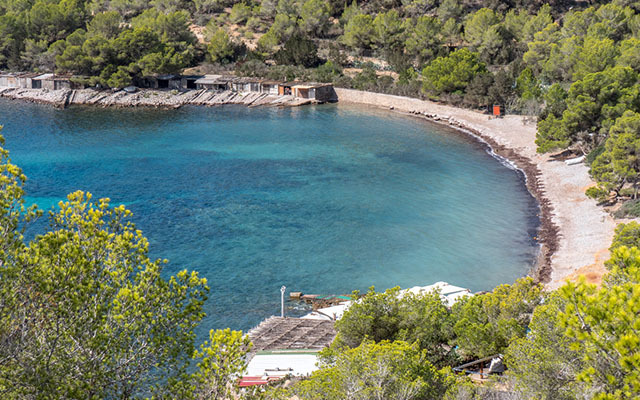 The tour through the southwest of Sant Josep then comes to an end at the breathtaking Bay of Porroig. There are few tourists here, making it a very quiet cove perfect for taking a dip in the crystal-clear waters and admiring the boathouses. Take a stroll around the area as there are many secrets waiting to be discovered.